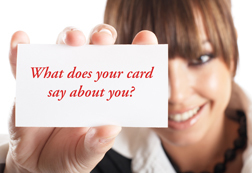 What does your card say about you or your company? Let us design a business card that will be sure to impress. We provide creative design options along with quality printing and excellent paper stocks.